We work to understand your shopper attitudes, motivations and behaviors because it is crucial in creating a roadmap that funnels customer traffic in your direction. With this complete picture, we’ll help you quickly reach your objectives more effectively and improve the performance of your new customer reach. Statistics show that only 2-8% of your website visits are your most loyal customers. 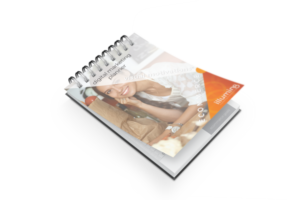 Your new customers, in the 92%, don’t know you exist or can’t find you online which is why you need to utilize the Visual MotivationTM playbook. We help you reach your new customers with a customized brand awareness campaign of SEO, SEM and Online Advertising. If the average in-store basket transaction is $29.90* and the average online shopping transaction exceeds $200 per transaction, which shoppers would you like to reach? Out of 300 + grocery retailers we work with premiere vendors and a retailer who is leading in online grocery shopping performance out of a vendor’s 300 member retailer group. Our 20+ years digital marketing and advertising experience resulted in our unique Visual MotivationsTM playbook. With this strategy we help you drive brand awareness to your relevant audience, reaching them throughout their customer journey to help you increase shopper acquisition, retention, and sales online. View our portfolio of work – from web design, SEO, SEM, advertising, video, photography, and more. © 2018 illumin8 marketing llc, All Rights Reserved.